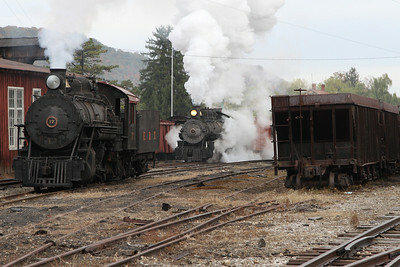 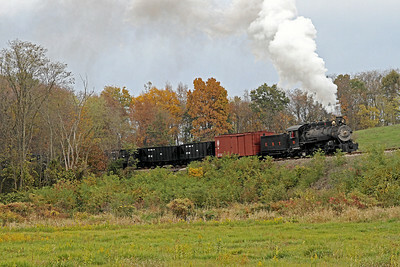 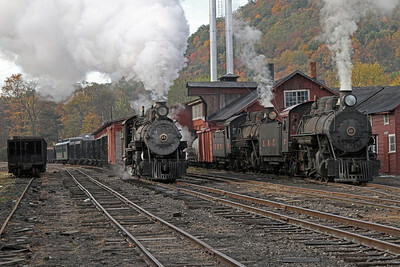 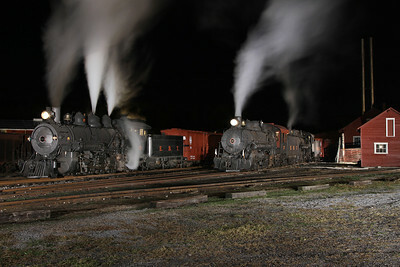 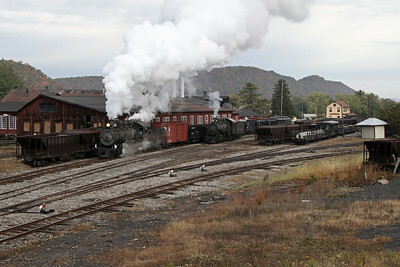 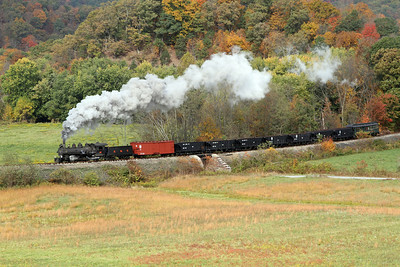 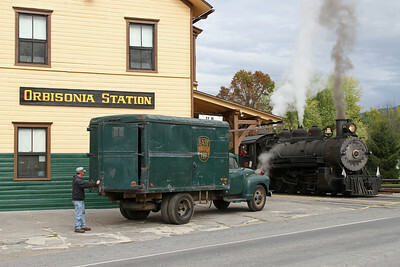 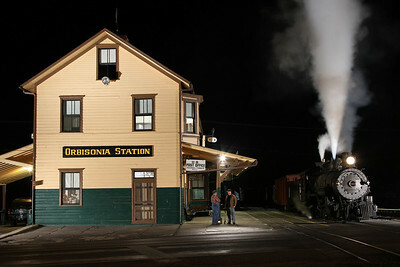 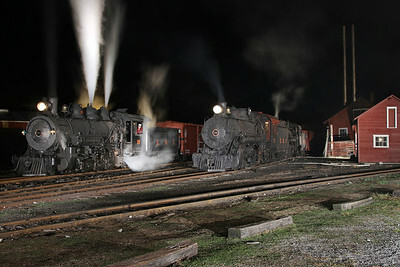 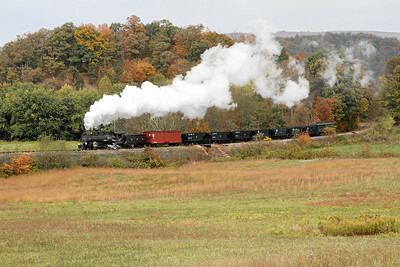 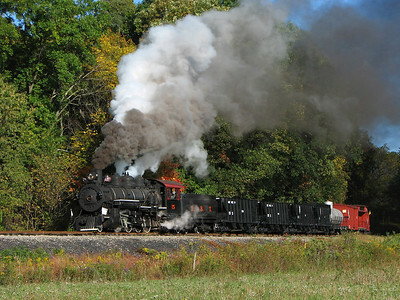 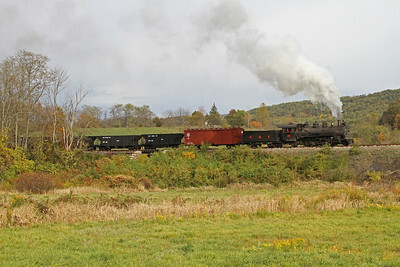 Photos from October 2006 & 2010 featuring steam engine 2-8-2 #15 (Baldwin built 1914), 50-ton diesel M-7 (1964), and doodlebug M-1 (1927). 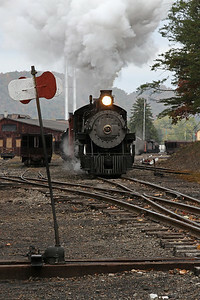 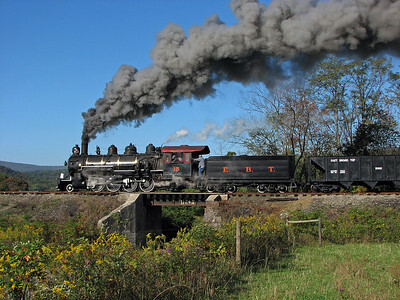 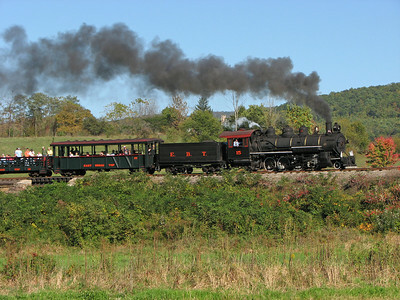 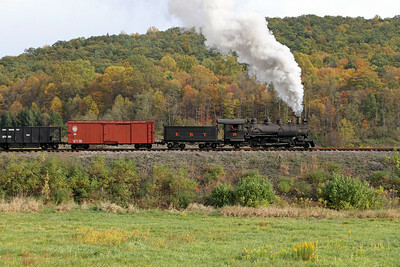 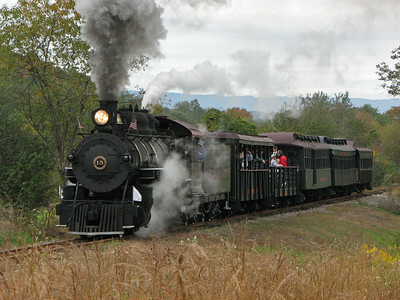 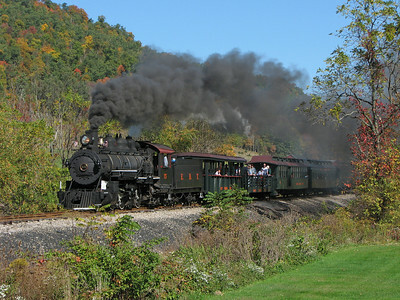 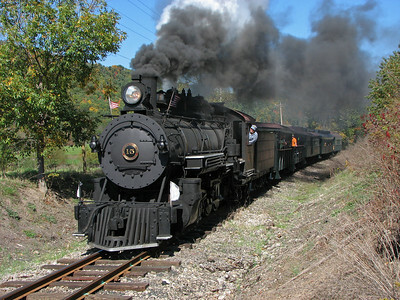 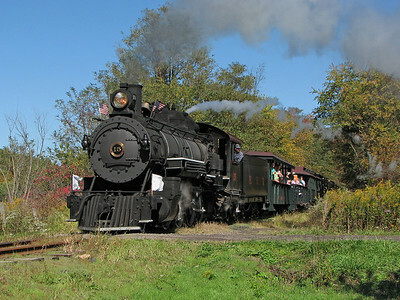 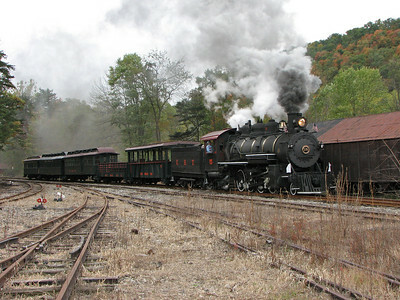 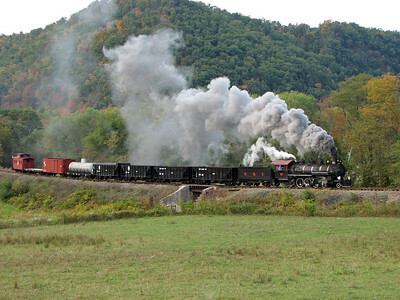 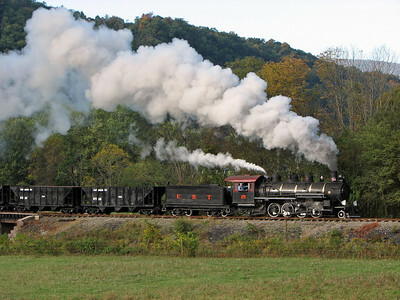 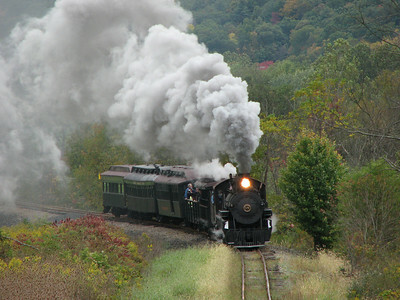 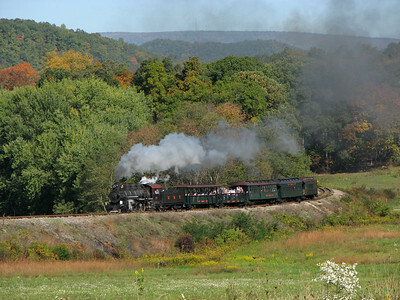 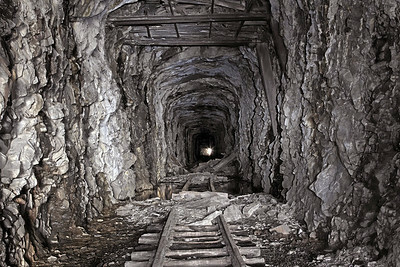 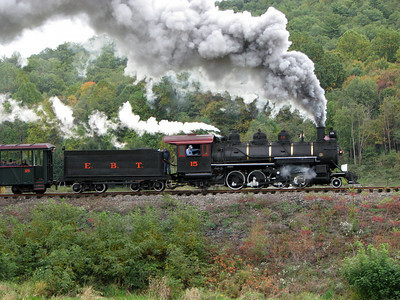 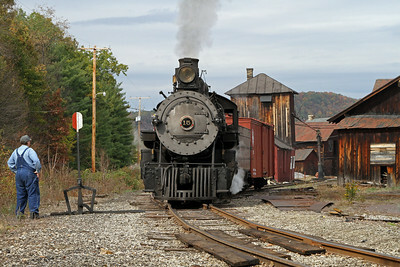 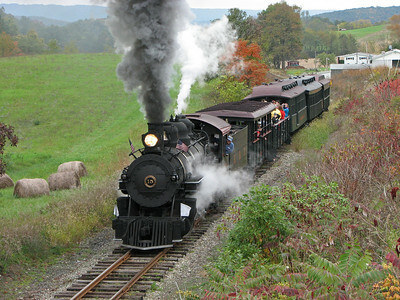 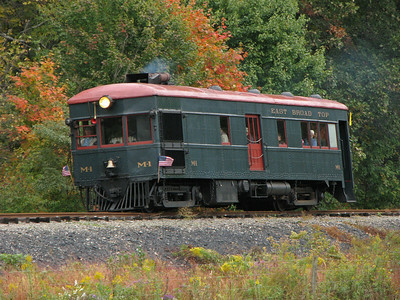 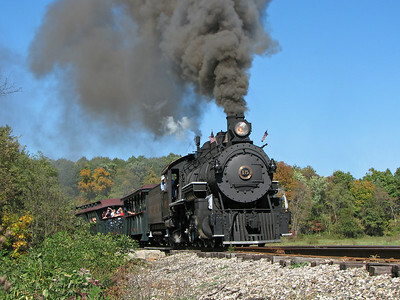 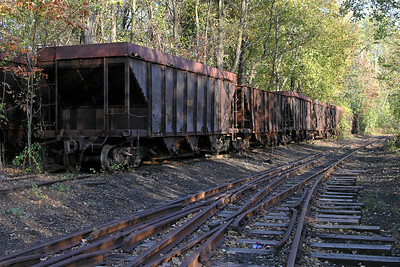 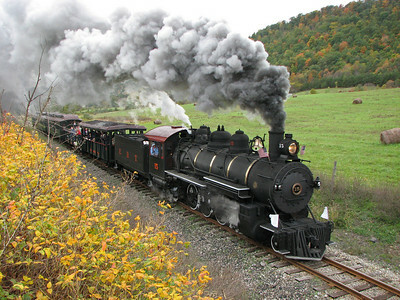 The EBT was built in 1873 to haul coal from Broad Top Mountain to interchange with the Pennsylvania Railroad at Mount Union. 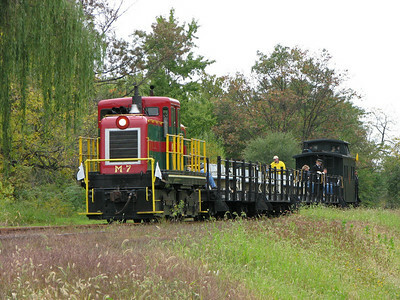 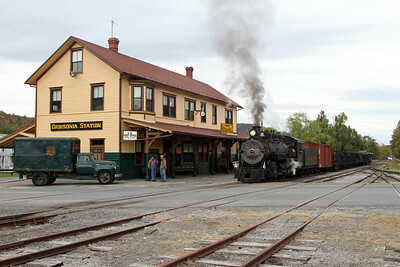 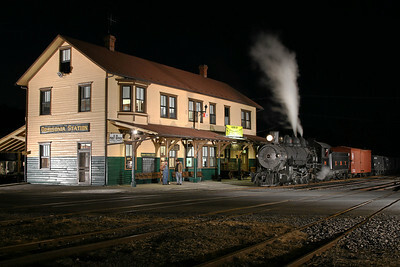 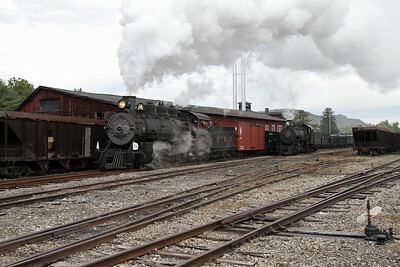 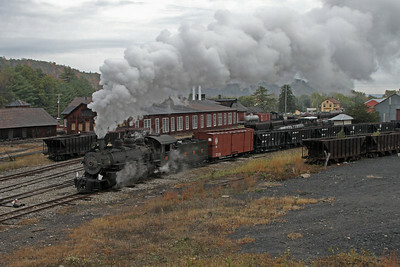 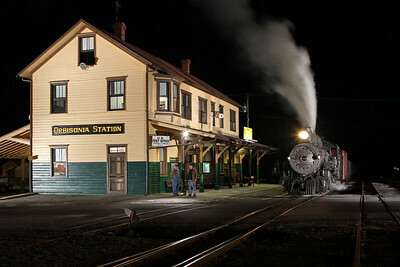 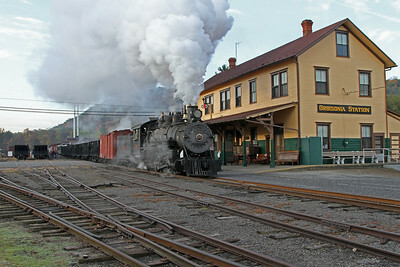 After coal traffic ended in 1956, tourist trains ran from 1960 to 2011 at what was widely considered the best-preserved narrow gauge railroad east of Colorado. 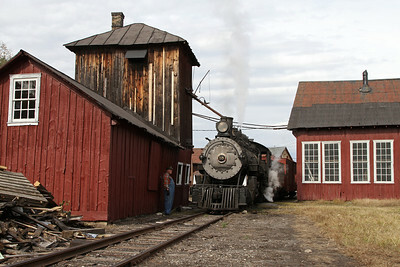 As of Spring 2012, the owner and non-profit operator failed to reach a continued operating agreement. 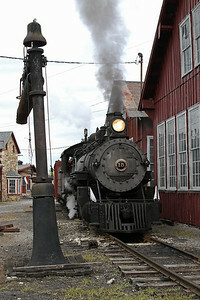 For updates, visit the EBT Website and Friends of the EBT. 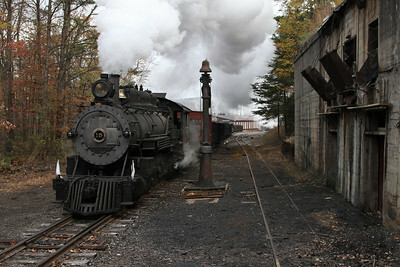 See the EBT Sideling Hill Tunnel Gallery for more. 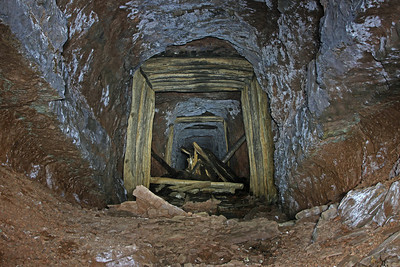 See the EBT Wrays Hill Tunnel Gallery for more.